More Than Just Your Weekend Spot! 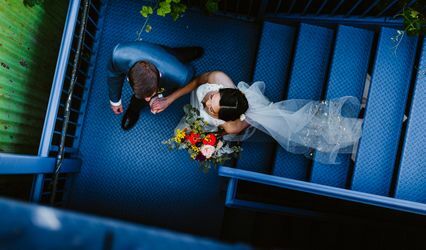 Rooftop Reds allows customers to choose their own catering options for any rooftop event and has a list of well-respected caterers in the Navy Yard and the surrounding neighborhood. 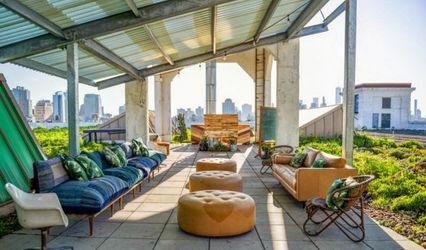 The Rooftop boasts two large recreational lawn spaces, an outdoor movie screen, and an urban chic tasting room. 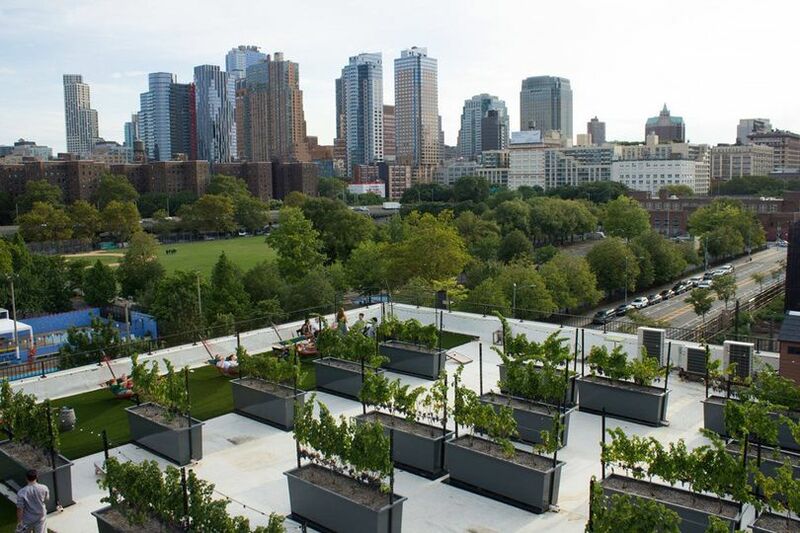 Being New York Cities only operating vineyard system and being located in the Historic Brooklyn Navy Yard, Rooftop Reds will offer a truly unique, exclusive, Brooklyn setting with fantastic city views. 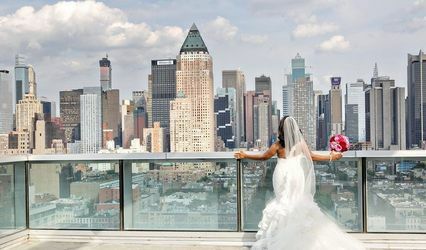 The nighttime setting allows the rooftop to be illuminated by the beautiful city that it overlooks. 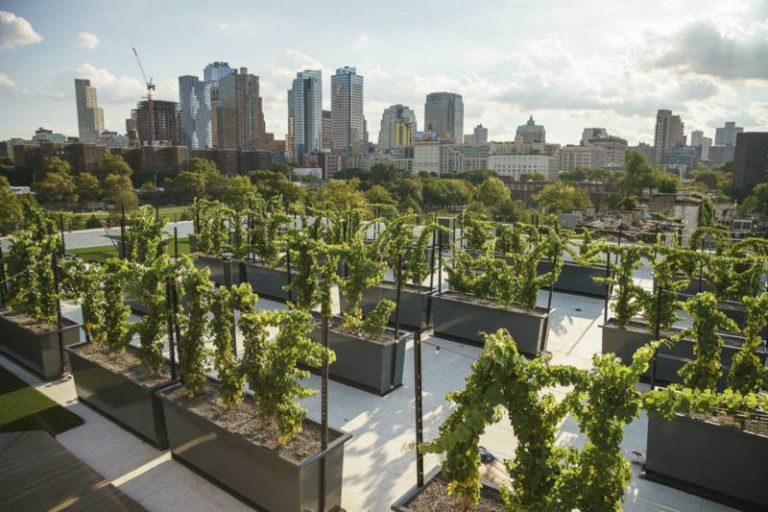 The winery offers both full rooftop or partial rooftop rental pricing, giving our customers flexibility on exclusivity and price. 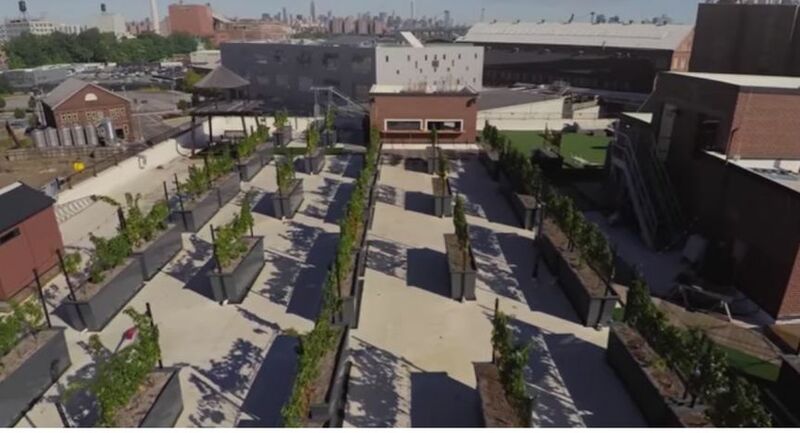 For the 2017 season, Rooftop Reds recently built a new 1,000 square foot rooftop deck which will be the perfect location for any small to medium sized gathering. Tent rentals are also available to customers. Rooftop Reds has a 20" x 40" tent available for private events.